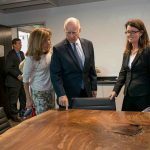 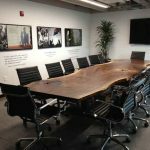 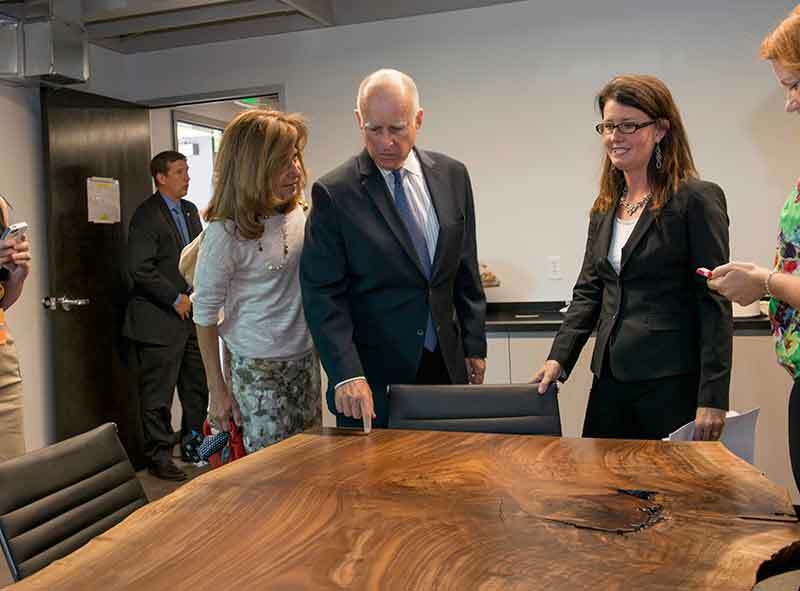 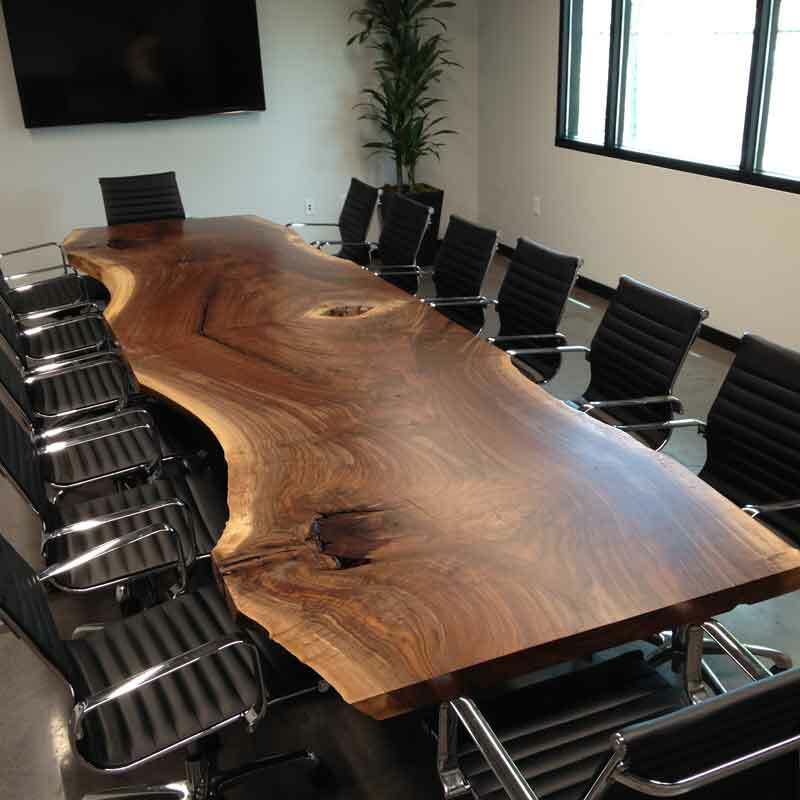 We were contacted by the chief financial officer for the California Democratic Party to build a custom conference table for the new Democratic Headquarters in Sacramento, Ca. 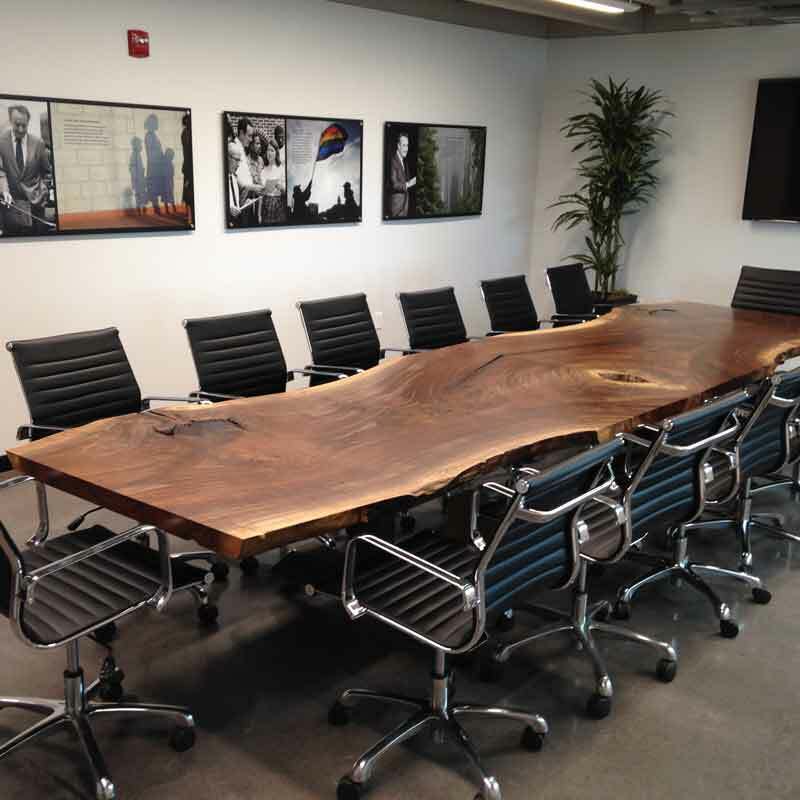 They wanted a 14’ foot long by 40” + wide custom Walnut table. 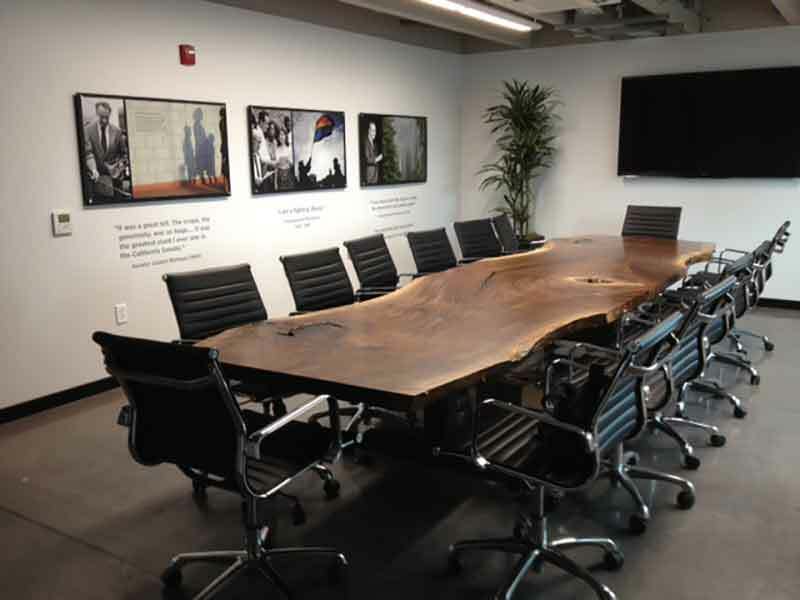 It was very important to our clients that the slabs were sustainably and locally salvaged. 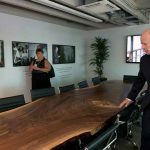 Since we were the actual people who salvaged the tree they were rest assured and we were able to give them the actual story of the tree as well. We ended up crotch matching two book matched walnut slabs and we left the crotch arms on each slab just long enough that when joined together they would create a 6” diameter hole for computer wires to hang through. 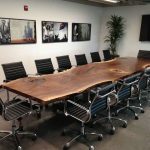 Many hours went in to creating and building this gorgeous conference table and needless to say it ended up being the showstopper that the new building was looking for. 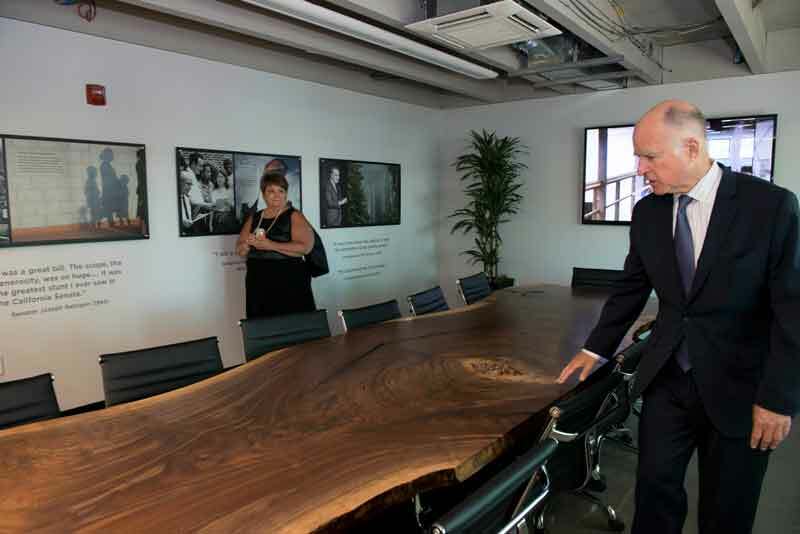 You can read the story of the tree and see us salvaging it here.